Click on the tags in the above image to shop directly. 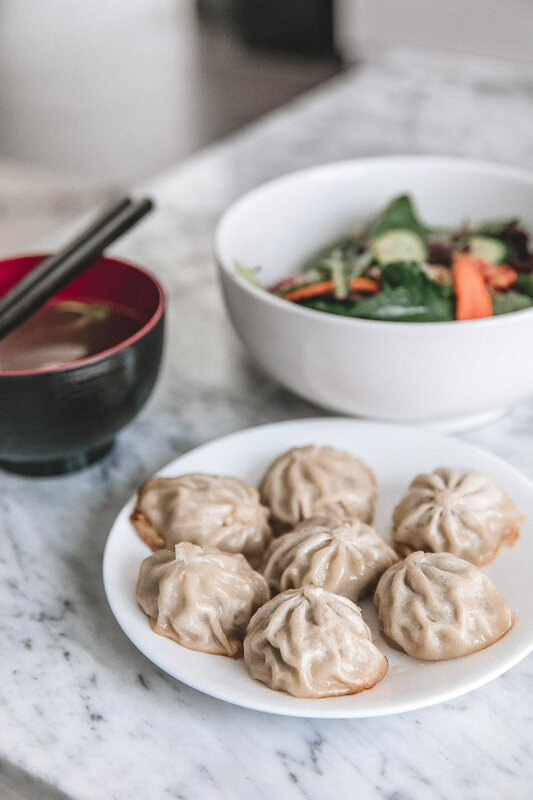 I think there was once a saying, “the foundation for a happy life is found in dumplings.” No, I’m just kidding, but I do think it’s true. I absolutely love dumplings. I’ve loved them since I was a child and dumplings bring back such fond memories for me. 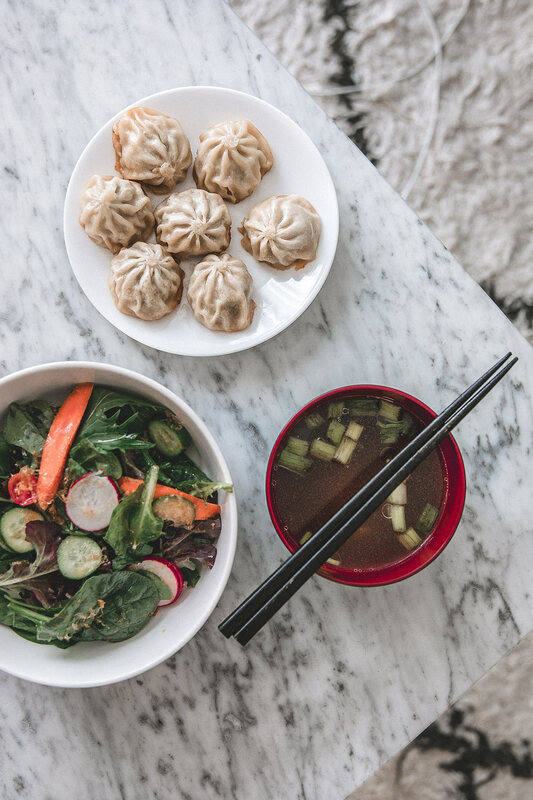 I grew up in an Asian-American home to immigrants and I think there is no quintessential Asian food more than dumplings. Literally, every East Asian country seems to have their take and style to this dish that makes it an infinitely wondrous food. I could talk about it forever. In fact, I think dumplings are better than pizza. I had to say it. But, I digress, Bibigo came through with this collaboration that I gladly obliged to. There were many options in their frozen food choices available at the market and you can visit Bibigo’s product page to learn about all of Bibigo’s delicious offerings. I decided to go with the Bibigo’s dumplings because dumplings are always delicious. Bibigo offers a Korean Cuisine twist to these dumplings and their other options are amazing and convenient as well. The skin of the dumpling was soft but not too delicate, and the inside filling was so juicy and flavorful. For an instant food, I’d definitely recommend Bibigo’s dumplings to anybody if you have not tried it yet. Bibigo’s dumplings are easy to prepare and make a tasty appetizer or a tapas-style sharable dish with your family and friends.